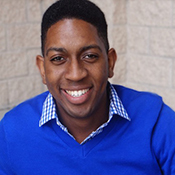 Aaron Brown graduated from the MFA program in Directing at Baylor University in 2018. He previously taught at Glenda Dawson High School in Pearland, Texas after completing a Bachelor’s degree in Musical Theatre at Oklahoma City University. Brown has presented papers at the Association for Theatre in Higher Education (ATHE) conference, the Comparative Drama Conference, the Mid-America Theatre Conference, Texas Educators Theatre Association, and the Southwest American Pop Culture Conference. Aaron has directed and choreographed over 20 musical productions. Last year he completed his thesis production, Crazy for You, on the Baylor mainstage. Brown is passionate about promoting diversity in the arts.